A small but fierce Dragon! It is built from a cube basic shape. It shares the same body as most of my other cube patterns just with one extra row in the middle for hight. Add a tongue for a touch of playfulness. 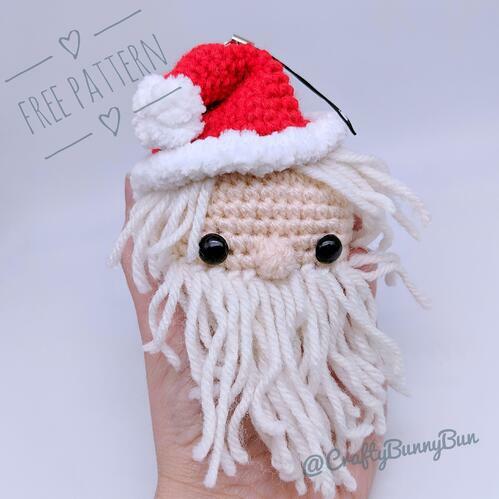 This pattern has on Ravelry. Stuff well. Add eyes between R11 and R12. Try the distance that looks best to you and once you are happy with it, fix them in place. See pictures for reference. Leave long tail. Stuff the tail and attach it to the back of the body. Attach it to cover R8 at the top and R14 at the bottom. Sew it as seamlessly as possible so it looks like it’s part of the cube body. Pinch two rows together when sewing as indicated by the arrow to get a curved tail. ch × 2, [(dc, tr, dc) in same loop, sc, sl st] x 3, [(hdc, dc, hdc) in same loop, sc, sl st] x 3, (sc, hdc, sc) in same loop, sc, sl st. Finish off, use a sewing needle to sew the end along the edge to don’t pull the yarn too much to keep the Fin end looking pointy. Attach stuffed legs to the bottom of the dragon body. 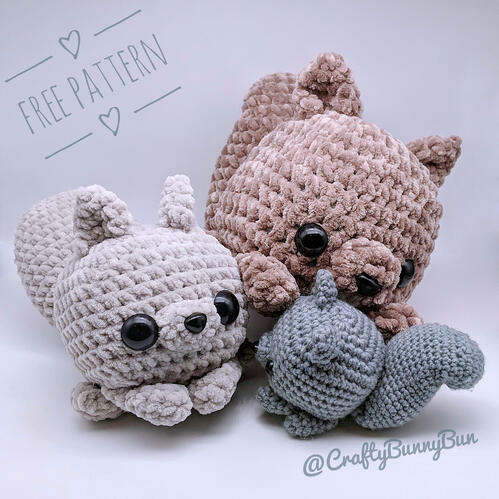 Subscribe to my blog to get updates every time I publish a new pattern or tutorial! You can also follow me on Instagram to watch the daily adventures of my critters. Licensed under Creative Commons Attribution-ShareAlike 4.0. 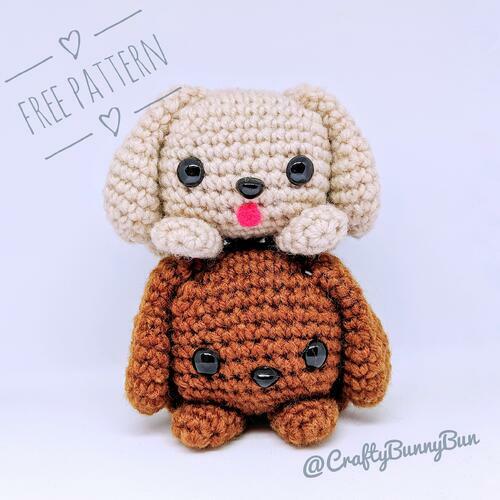 You are also allowed to sell anything you create using this pattern as long as you clearly credit CraftyBunnyBun for the pattern design. All my content is free for you to enjoy. May it bring you a smile when you need it most. Do you want to get in touch with me to ask a question, report an issue or just say anything?